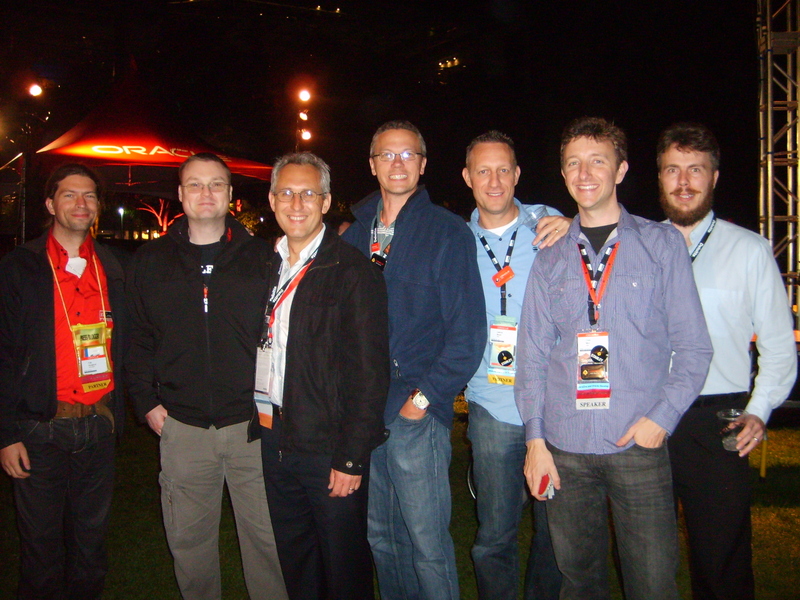 Posted by Richard Foote in Oracle OpenWorld. Like most at OpenWorld, I started the day a tad later than usual after yesterday’s Appreciation Party. I decided to be a little adventurous with my first session and see a non-database related session on Application Integration Architecture as I have an interest in the issue. It was all actually quite interesting with discussions regarding what level of integration might be appropriate, whether it be purely at the data layer or at the process layer, if data needs to be integrated, should it be replicated locally somehow or referenced remotely and which method might be best in which circumstance. They also emphasised the importance of standards and how they should be applied and policed and how standards can help to resolve the issue and possible conflicts of adding increasing complexities when attempting to write reusable services. It was an hour well spent. I next attended a really good session on Oracle Database 11g New Search Features and Future Roadmap. I learnt to my surprise that there are a quite a number of new features in relation to Oracle Text in the recent 11.2.0.2 release. New features include Entity Extraction whereby Oracle will automatically find entities in text such as people, cities, phone numbers, etc. a new Name Search facility in which people names with different spelling can more easily be found (such as Stephen and Steven) and a new Resultset Interface capability in which details and data can be nicely summarised. Also mentioned are enhancements in the manner by which frequent and not so frequent accesses to text tokens can be stored and processed. Also had a really interesting look at what new things are being planned, such as automatic partitioning, automatic optimisations of indexes via the use of a staging index, section specific index options, two index levels with better management of common terms in memory, substring index options to name but a few. Looks like there are going to be considerable functional improvements to text indexes on their way soon. Day 5 is sooooo much more quieter than it has been and lunch was a less hectic affair with far fewer people to hustle against. It’s been another beautiful day here, the weather almost as good as it is in Australia !! 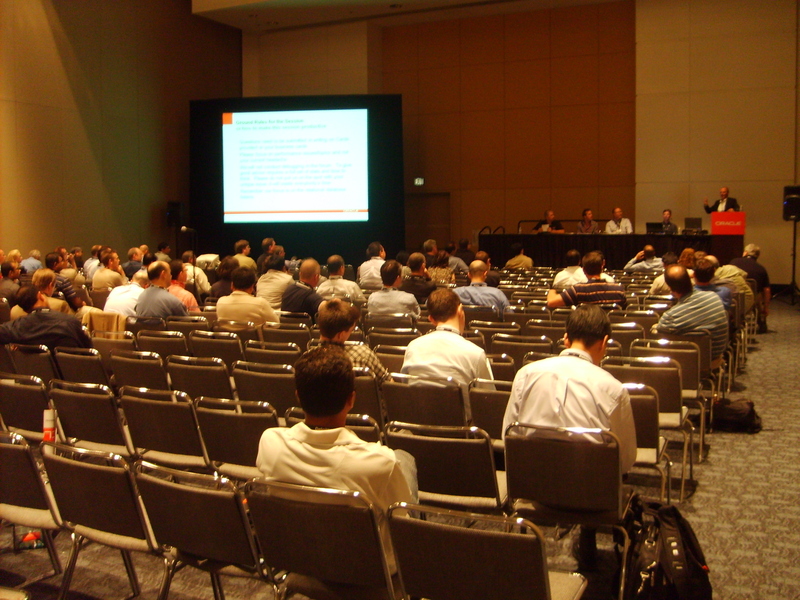 I presented one of the first sessions to kick-off Oracle OpenWorld 2010 so I was determined to see the conference through and sit in on one of the last sessions as well. I decided to go and see fellow Oakie Mark Farharm present on whether it’s ever useful to physically order data. The answer is yes but it depends and he explained why it’s so and the scenarios when it might be useful and worth considering. Finally, I headed down to the “It’s A Wrap” function for a few drinks and a bite to eat with a bunch of friends, listening to some pretty good music, including a nice little rendition of David Bowie’s “Rebel Rebel”. And so Oracle OpenWorld ends for another year. There were a number of big announcements this year, a number of excellent sessions, some catching up with old friends and the making of many new ones, with the odd beer and glass of wine consumed during the process. A huge thanks to everyone who attended my sessions and for all the positive feedback. Also a huge thanks to Lillian, Vikki, Justin and everyone on the OTN team for looking after all the Oracle ACEs so well. Looking forward to heading home now and getting back to Australia. 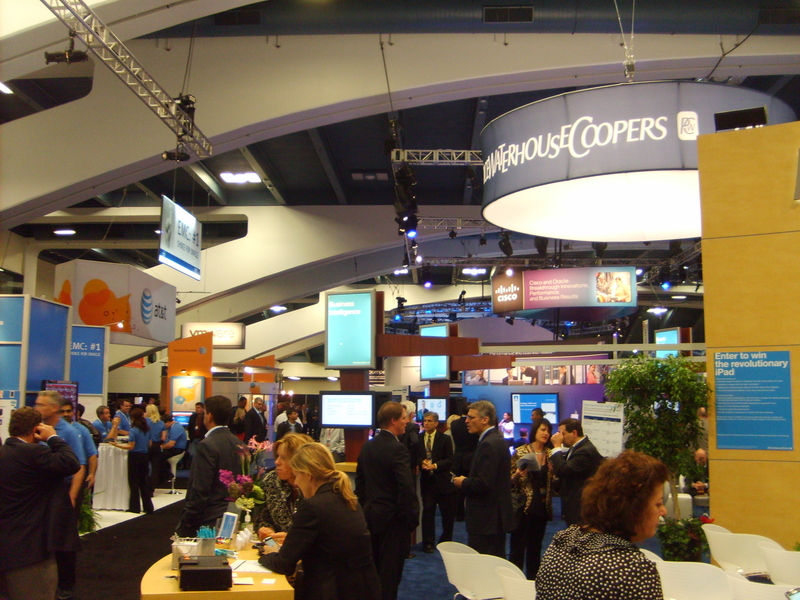 Thankfully after a decent night’s sleep, I approached Day 4 at Oracle OpenWorld with more energy than I did yesterday. 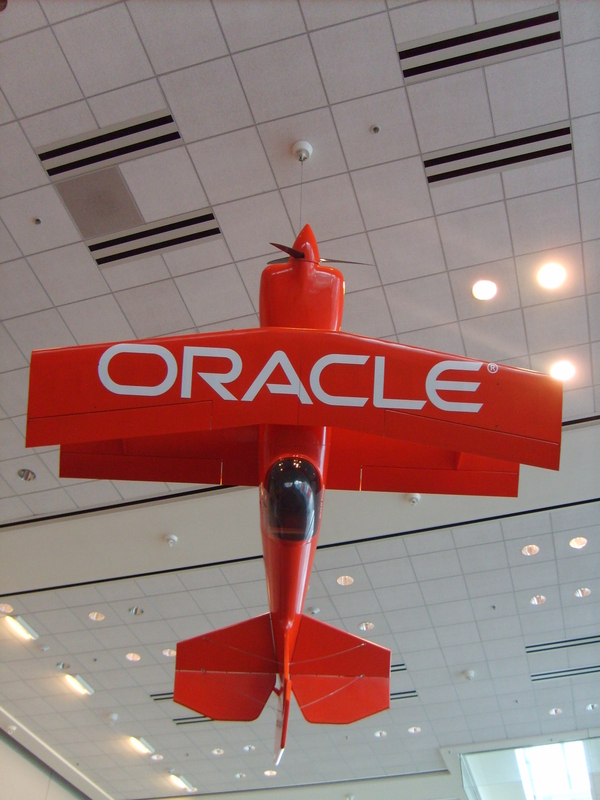 I probably had the most productive morning of the whole conference when I visited the various Oracle product booths in the Exhibition Hall at Moscone South and spoke to many of the database product managers and development staff. I had a good chat with folks from RAC One, the CBO, Database Replay and Oracle Total Recall teams among others and was able to discuss various issues with these technologies and future directions and enhancements. As an example, I was able to get useful information on how existing journal records might be added to flashback archive enabled tables and how it might potentially be possible to remove or alter exisiting flashback data, issues that we need to have addressed before we could consider implementing Total Recall capabilities. I would strongly recommend anyone coming to OpenWorld spend some time and talk to these guys and get direct answers to questions you might have with various current Oracle technologies. After another pleasant lunch in the sun, listening to live music, I sat in on the SQL Tuning Roundtable session. Unfortunately, it was all a bit of a flop really, with most of the time spent wading through overheads on various new Oracle 11g features rather than spend the time allowing people to ask and get their questions answered. I think only one or two of the questions written on the cards before the session started were actually answered by the panel during the session. Tip to the organisers of these types of sessions, devote all the available time for allowing folks to have questions answered and leave the presentation of new features for another time. 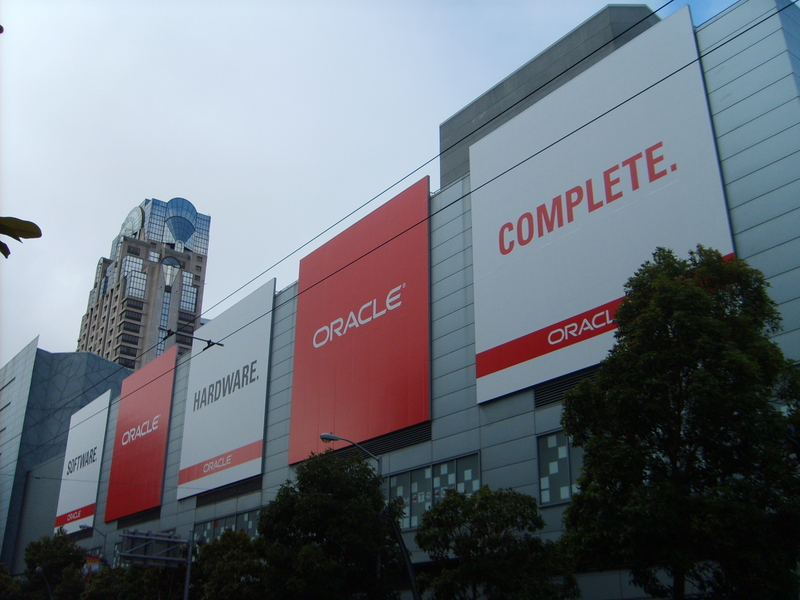 I next walked across to that other major event being held in San Francisco at the moment, Oracle Closed World. It was great to catch up with Mogens Norgaard and a host of other fellow OakTable members and listen in to Kevin Closson give another excellent and informative Q&A session, with the audience drinking free beer. There is something about free beer that just makes it taste just that little bit better 🙂 Afterwards, caught up over a beer with Kevin, Tanel Poder, Kyle Hailey, Kerry Osborne, Tim Hall to name but a few and met James Morle for the first time which was great. Thanks to Mogens and Kyle for organising everything. Many of us then made our way to the great blogger get-together as organised by Alex Gorbachev and the folks at Pythian. As we did last year, we were given t-shirts and then meant to get as many people to have them signed as possible. However, I wanted to keep my t-shirt graffiti free as they’ll make a great t-shirt but made the unfortunate mistake of wearing a white t-shirt to the event. As such, I spent much of my time dodging people who kept trying to write on my t-shirt. Fortunately, I managed to make it out without graffiti free. A big thanks to Alex, Pythian, OTN and the other sponsors and organisers of a great event as I had the great pleasure of meeting a host of great fellow bloggers for the first time. Finally, it was time for the Appreciation Event and my date with the Black Eye Peas. First though, we had to wait patiently for the coach in a massive queue that wrapped around nearly 2 full blocks. 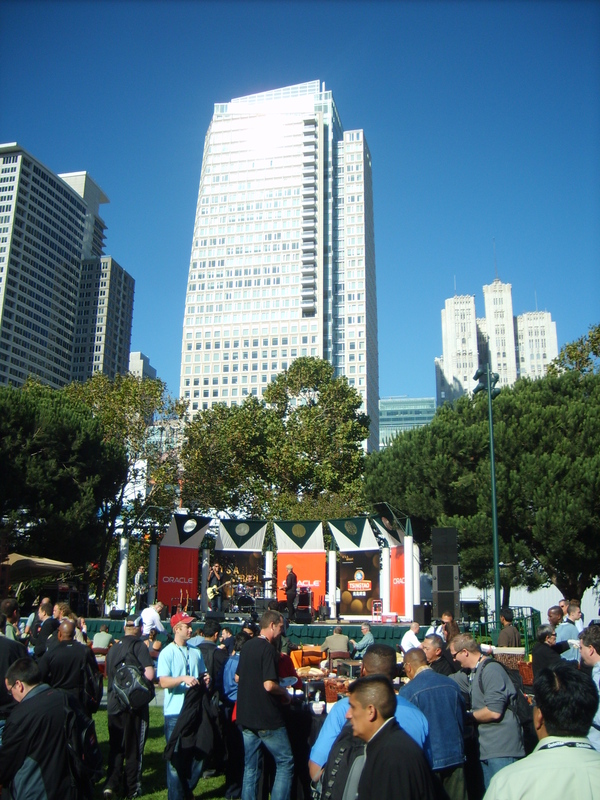 This year’s OOW event is sooooo much bigger than recent previous years. It actually went surprisingly quickly and we were on our way, with the truly spectacular lights of San Francisco passing by as we crossed the bridge to Treasure Island. This year, the place was totally and completely packed with people with huge queues for access to the food. Unfortunately, the food was really disappointing and nowhere near as good as its been previously but there was plenty of beer and wine on hand to make amends. I’m not a great fan of the Black Eyes Peas to be honest and heard they’re not the best live band but my daughter is a fan so I decided to watch them and take a few photos. They’re started out a bit slowly but they so warmed up and by the end I thought they were actually very good and had put on a great show. There is something about a huge bass vibrating through your whole body, a light show and lasers that makes arena rock what it is. In the end, I had a great night but was thankful the queues to get back on the buses were no where as long. 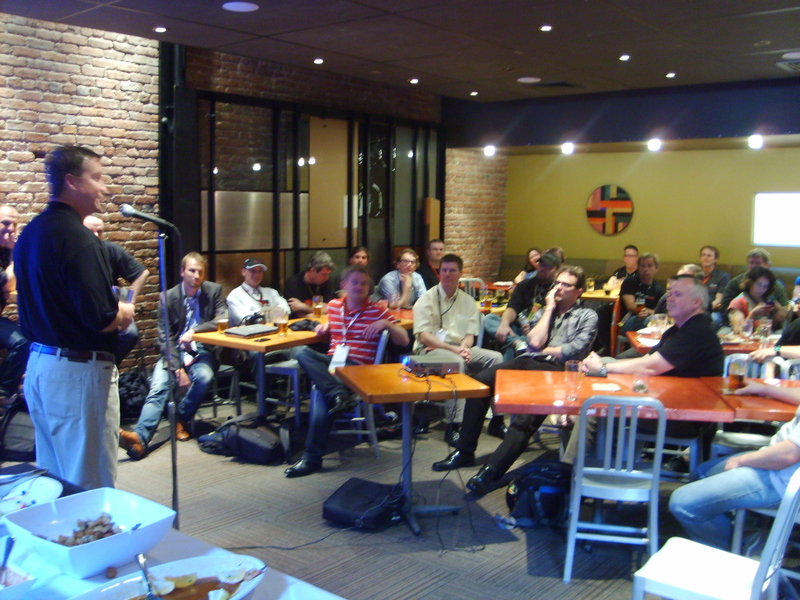 First up was my Unconference Q & A session at Parc 55 Hotel. Considering the overall “Javaness” of the venue and location, I was actually surprised as many as 20-30 people managed to find out it was on. From my perspective, it was another success with quite a number of different questions asked and various subjects discussed including the workings of bitmap indexes and why they’re not suitable for OLTP applications, the appropriate ordering of composite index columns, index compression, usage of function-based indexes, impact of deletes and the setting of null values to index enries, to name but a few. Hopefully those who attended found it a useful session as Jarneil did. Next up I popped into Kevin Closson’s session on “Do It Yourself Exadata”. Now I not the most “hardware savvy” of folks, but Kevin is both extremely knowledgable and passionate in his presentations which is a very useful combination of attributes to have as a presenter. I enjoyed his session very much and left with an appreciation of the various technical issues involved in trying to build an Exadata like environment, how it’s possible but perhaps not particularly practical. 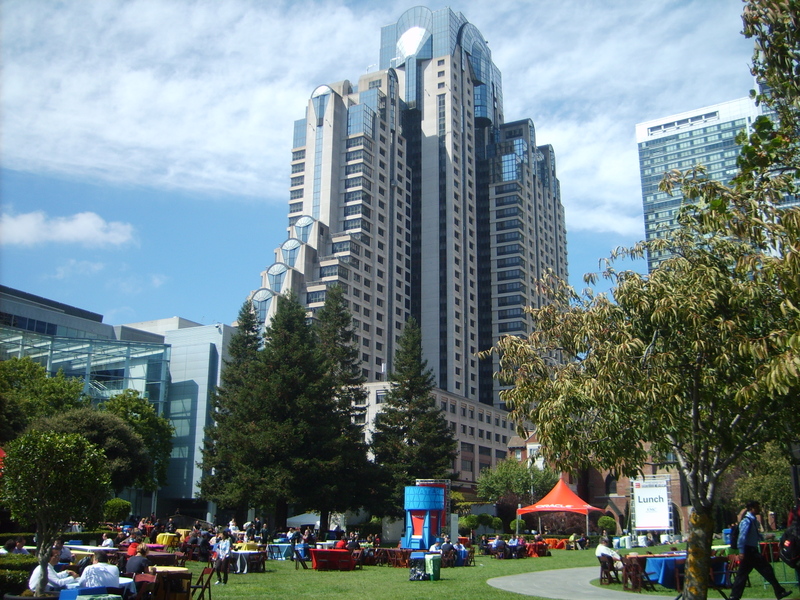 I then enjoyed a lunch session out in the beautiful San Francisco sun, admiring many of the nearly buildings, attempting to get all my yawns out of my system (somewhat unsuccessfully). I decided initially to attend a session on the internals of the CBO run by Maria Clogan (who is again a great speaker) and various things that can go wrong but although excellent, I kinda knew all the material so decided instead to leave and pop into a presentation on how to deploy new database features risk free with Database Replay, a new 11g feature I’m looking at using back at work. Bad move !! It was all bland talk followed by an unbelievably long and totally unrelated vendor video on how to make solar panels, followed by a totally irrelevant discussion on just how great Exadata is with barely a mention of database replay, how it was deployed, how it helped, how it was applied, nothing of any practical benefit. In short, a total waste of time, unless you’re interested in solar panels of course. It was then time for a beer or two back at the OTN tent to share the love and joy that was the “Java Posse”. I kinda get the strong impression that not all Java folks are overly thrilled at sharing the JavaOne conference with OpenWorld and Oracle Develop. Still, the Java song was rather catchy, Java Java Java, jing jing jing !! The networking side of things and meeting people is probably the most important aspect of conferences such as these and it’s always good to make new friends, catch up with old ones and finally put faces to people I’ve only previously met electronically. What a difference a good night’s sleep makes to one’s outlook on life !! Slept soundly until dawn for the first time since arriving to the US and boy, do I feel better for it. 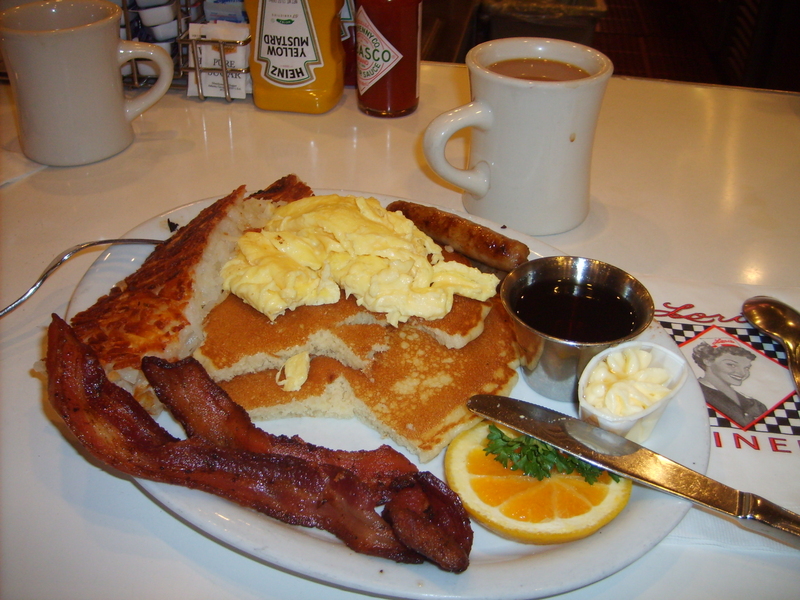 After a lazy morning, had a late breakfast at my favourite haunt, Louis Diner, for a breakfast that lasts me all day. The first session of the day was a presentation on SOA and the so-called transformation the IT landscape. I’m very curious to see how other organisations implement SOA solutions as I have reservations regarding how my work is contemplating going down this path. It’s was actually quite a useful summary of the various integration issues that many organisations have and how a SOA based solution attempts to address these issues. It was a tad marketing oriented by those involved but worth sitting in on. More than can be said for my second session on Oracle Database Performance and the latest developments, a boring marketing driven piece on how Oracle can scale this way and that, how it’s got the best results here and there and how it’s the market leader here, there and everywhere. I joined the every growing stream of people walking out and decided instead to check out the exhibition hall. As usual, the place was huge and packed with vendors desperate to get your details in exchange for a t-shirt or flashing yo-yo. I actually had a good chat with a number of vendors and saw various database monitoring products that was worth further investigation. Caught up with Gary Goodman from at the Hotsos stand, had a chat with a lady who was an ex-watering skiing champion who loved competing in Australia and of course left with a bag full of t-shirts and flashing yo-yos. Next was my second official presentation on index related new features introduced in 11g. There was a good turn out with few falling asleep so hopefully it was reasonably successful. I was a bit dehydrated with my voice threatening to give out but I manged to make it and finish in time no less. Both Asif Momen and Jarneil both appeared to have enjoyed it. I next attended a customer panel on Oracle Exadata and IT consolidation as it’s a technology that is obviously very topical at the moment. It’s of course another marketing exercise however if their joint experiences are to be believed (eg: implementing 1/4 rack systems with massive performance improvements and heaps of free resources to spare), then it’s potentially a technology to consider moving forward. The devil of course is always in the details however and it’s something I would love to test with our production workloads. I can’t help thinking Oracle’s move towards larger more powerful node Exadata systems, with fewer actual RAC nodes, suggests an interesting direction, especially for OLTP based systems. In all, a useful session with plenty of food for thought. My final session of the day was the Real-World Performance Panel session, which is always worth attending. I managed to catch up with Graham Wood and Greg Rahn beforehand which was nice. This year there were actually quite a number of questions that were related to indexes (perhaps someone noticed I was sitting in the back row !!). The question that most grabbed my interest was whether indexes are required at all in an Exadata systems or whether everything runs so fast and vast volumes of data can be processed so quickly, that using indexes is all a bit redundant and unnecessary. The general answer and consensus of the panel was that it of course depends. The fundamentals with Exadata are just the same, it’s just that Full Table Scans and parallel processing can all be done so much more efficiently and quicker than previously, resulting in FTS and hash joins being more likely and attractive to the CBO. However, for the policing of constraints, for row (or “few” or relatively selective rows) processing, then accessing the data via an index is still going to be a more efficient option. It all still depends. For Data Warehousing however, thinking in terms of set and parallel processing should certainly be considered which in turn naturally leads to less reliance on indexes. However, it again all still depends and is just as relevant in non Exadata data warehouses. In all, it was an excellent session with some good questions and even better answers. After a quick rest back at the hotel, it was time for the Asia-Pacific cocktail reception at the rather impressive Press Club where both Chris Muir and I managed to get on good terms with a number of the waiters who made sure we were served first with any new food being handed out. The combination of chocolate truffles and red wine was just divine !! Finally, we made an appearance at the massive OTN party where we met up with a number of folks over a wine or two. 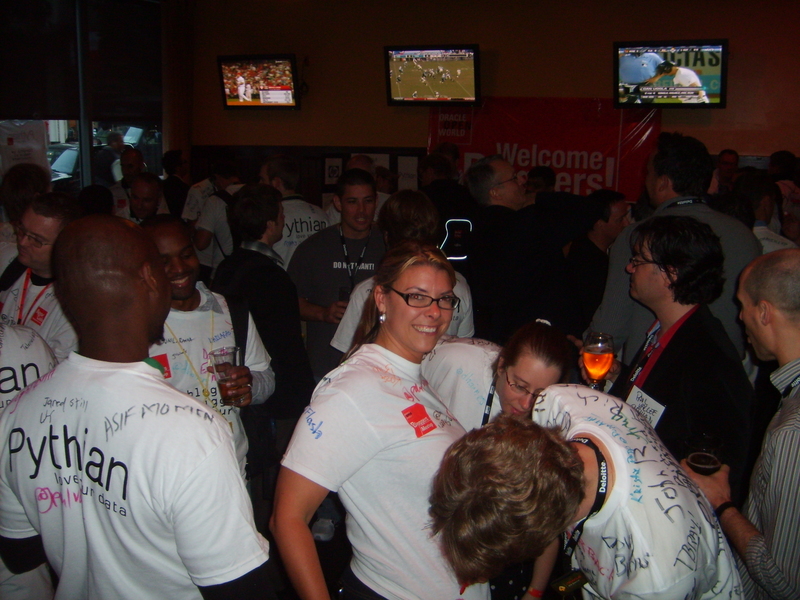 One thing that can alway be said about the OTN team, they sure know how to organise and throw a great party. Posted by Richard Foote in OOW. 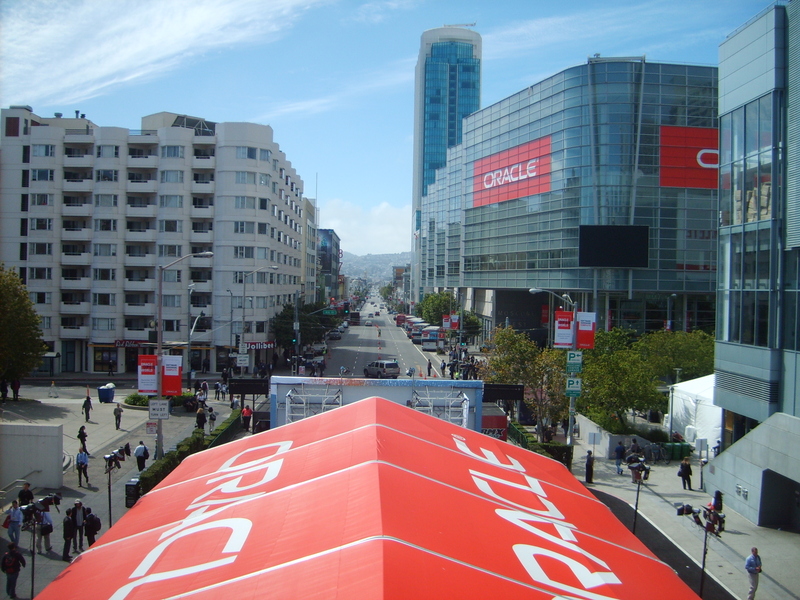 Well Oracle OpenWorld 2010 has finally arrived. The first thing I’ve noticed is just how many more people appear to be around at the conference this year compared to last. Better economic times and the addition of the JavaOne component have certainly made a difference. Here’s a piece of advice. Don’t go out drinking lots of cocktails with Oracle marketing folk while still in a jet lagged state, the night before you do a presentation. Although I had a great night, I felt decidedly not quite so great when I woke up at 4am the following morning, which 90 minutes in the gym did little to address. Thankfully a country breakfast at Louise Dinner did a much better job of fixing things up a little. A timely suggestion by Chris Muir to go to Moscone South to register certainly saved me a potential boring hour or more waiting in the huge queues. I love lots of people and the positive vibe of expectation, one thing I do hate though is long queues. After registration, I hung out for a while, making last minutes changes to my first presentation on indexing tips and tricks. It was kinda nice being one of the first presentations to kick off the start of the conference. As the next presentation in the room was due to start directly after mine was due to finish, I was conscious of time and not being late getting through the material. As usual, it’s always hard to tell how it was all received and whether I rush things too much, but some positive comments afterwards suggests it went well. I was particularly pleased when a gentleman who was blind said afterwards he enjoyed the talk and could follow the points I made purely by what I said and not by having to necessarily view the content of the overheads. Afterwards I attended Rich Niemiec’s presentation on block dumps which was an introduction of sorts on the subject. If it makes people a little curious on the type of things one can learn and diagnose using block dumps, then it’s always a good thing. Next I attended Cary Millsap’s talk on Messed-Up Apps and a Study of Performance Anti-patterns. One thing I always learn and enjoy about Cary’s presentations is the art of presenting and how to deliver a good, interesting, thought provoking discussion. He gave some excellent examples of various Apps that were fundamentally flawed, such as a reporting system that printed by default, all receipts in the system from day dot (rather than the more logical default of all receipts from the last time the report was run) and the coach booking system in which it took over a minute to come up and list all possible options rather than quickly listing the first five that were likely going to be sufficient. The last talk of the day was an expert’s panel and a Q & A session on Web Architecture. Like most of these things, the quality of the session is based primarily on the quality of the questions, which overall weren’t that great. However, the highlight for me and what made me leave the session at the end with some confidence that there is still hope in the world was Paul Dorsey comments on a question regarding why do various programming flavours and current trends come and go and what best to do about it. Paul’s answer was where possible, much programming should be done within the database (which never comes and goes) and which enables a more efficient, scalable and secure solution, much to the distress and discomfort of many of the attendees. I felt like shouting out ‘YES ! !”, but I was too tired and simply left at the end with a little smile on my face. Feeling really tired, I decided to skip the keynote address (having attended the ACE Director briefings in the last couple of days, I already have a fair idea on what is being announced this week) and crashed for an hour in my hotel room before going out on a fantastic dinner cruise in beautiful San Francisco harbour courtesy of the Oracle ACE program. The lowlight was probably when I walked into a window panel which was virtually invisible and looked like a walkway. Highlight was probably when Marcel Kratochvil did exactly the same thing, but much more dramatically leaving a beer stain on the glass. I also had a good chat to Joze Senegacnik, who I had only met for the first time during my presentation earlier in the day. The San Francisco skyline looked spectacular from the harbour and not being the best of sailors, was rather glad it was such a calm and mild evening. Thanks to Lillian, Vikki and the ACE program for putting on such a great night. Based on emails I’ve received, I know a number of you are keen to attend some of my sessions at Oracle OpenWorld this year so a few updates for your information. I’ll keep this blog entry as up to date as I can with the latest information as it comes to hand, so keep checking back or of course check the official site and the Schedule Builder for the latest updates. As of this morning, both of my official presentations were marked as full so if you tried to register for them you may have been disappointed. However, at this stage, only one of my presentations has been moved to a larger venue. The above session is still unfortunately marked as full. Being an IOUG session, it may not be possible to move this to a larger room so unfortunately, if you haven’t already pre-registered for this, it may be difficult to get in. From past experience though, if you get there early enough and wait in the standby queue for 10-15 minutes, usually sufficient people fail to turn up to perhaps make the wait in the queue worthwhile. This session was previously marked as full but has now been moved to a different room. It was previously in room 303 but is now in the larger (1300 capacity) Room 103, still at Moscone South. If you previously couldn’t pre-register, I would recommend booking your place while you still can via the Schedule Builder as there’s every chance it could fill up again the way things are going. Being an Unconference session, this can’t be pre-booked and so can’t officially be full. That said, the rooms for these sessions are really really small so if you’re interested in attending, it will be a case of first in, best dressed. This is your chance to ask those indexing (or David Bowie) related questions, especially if you couldn’t manage to get into one of my other sessions. A similar session last year went really well so hopefully it’ll be something worth attending if you get the chance. I’m really looking forward to the conference this year, especially as I wasn’t too sure for a while there that I was going to make it. Hopefully, I’ll get the chance to meeting lots more people this year and that everyone who would like to attend one of my sessions can do so. As usual, I’m packing about 2 hours worth of material into each 60 minute session so it’ll be fun to see if I can actually finish in time !! Posted by Richard Foote in Richard's Musings. UPDATE: My first presentation at OpenWorld on Sunday “Session S318615: “IOUG Oracle Indexing Tips, Tricks and Traps” is now FULL. Hopefully you have already pre-registered although sometimes with these things, the presentation might be moved to a bigger room. I’ve just been really really busy !!! The InSync10 Conference in Melbourne last month was excellent, a really good 2 days and it was nice to catch up with lots of my Oracle friends such as John Bushell, Tom Kyte, Connor McDonald, Mogens Norgaard, Debra Lilley, Kyle Hailey, Penny Cookson, Jeannie Dobney, Tony Jambu, as well as meeting lots of other nice people as well. My talk was well attended (considering the stiff competition) and seem to go well considering the nice feedback I’ve received. However, the biggest thrill of all was catching up with Stanley the ACE vest again. You can just see the excitement on my face in this picture of me with Stanley !! Since then it’s been non-stop. I’ve been on Oracle training courses, I’ve been finalising my presentations for OpenWorld, updating my seminar materials for the upcoming seminars in Europe next month, in heavy training trying to overcome various injuries so I can compete in the football final series (we managed to make the grand final again this year only to be beaten by Canberra FC 0-1), helping kids with their homework revision (I had forgotten just what fun maths and simultaneous equations can be !! ), trying to learn and experiment and pick up as much 11g release 2 knowledge as I possibly can at work ready for our upcoming upgrades, and on and on it goes. So unfortunately, my poor little blog has been rather sad and neglected lately as a result. Hopefully, I’ll have the chance to catch up with a lot of you in the coming week at OpenWorld. To gurantee a place in the first two sessions, I would recommend booking ASAP via the Scheduler Builder facility. A sad thing about going to Oracle OpenWorld this year however is that I’ll miss my local rugby league team, the Canberra Raiders playing a home final against the Western Tigers. I’ve a feeling this could finally be our year and I’ll miss on most of the final series while in the US. Go the mighty Green Machine !! Hopefully, I’ll be back in time to watch them win the grand final. Finally, just want to quickly mention the Michigan OakTable Symposium 2010 Conference that’s on this week. I would dearly love to go but my schedule made it impossible. However, it’s a fantastic conference with a truly quality list of speakers and if you have the chance to go, I would strongly recommend grabbing that chance. Hoping to write a few blog posts in the coming days, to complete my little series on block dumps, to write a few things from OpenWorld, cover some of the nice little goodies from 11g that are index related and review the fantastic deluxe re-release of the classic David Bowie album, “Station to Station”.